Tea has many supporters, and some fans of a healthy lifestyle particular preference is given not to the black, namely green tea, considering it in its own way a panacea for all diseases. What are the benefits of green tea? Green tea - one of the types of teas, derived from the kidneys and young leaves of the tea bush in a specific technology, where no oxidation or fermentation feedstock, that carefully preserves all its healing properties. 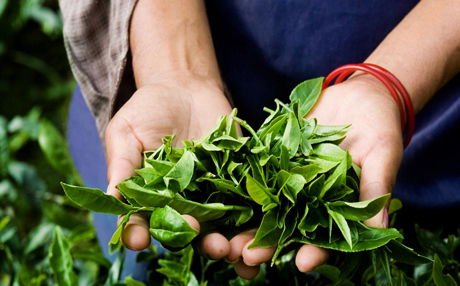 Green tea - it really real storehouse of nutrients. He is rightly included in the ten most useful products for the human body. Quality freshly brewed tea contains a particularly valuable biologically active substances, which is extremely large number of. It is very important to present it complex: Catechins, L-theanine and caffeine, as well as vitamins, especially a lot of ascorbic acid (Vitamin C), B vitamins, R, carotene, amino acids, minerals: manganese, calcium, fluorine, iron, Selenium, zinc, etc..
Green tea catechins cause its antioxidant action, It is in a green Chinese tea contains the highest number of the most active group of catechins - EGCG. for comparison: This catechin higher antioxidant activity 25 time, than a recognized antioxidant, how vitamin E. Antioxidants prevent aging, retain youth and elasticity of the skin, bind free radicals, cytocidal, inhibit the growth of cancerous tumors, protect the skin from the ravages of the solar radiation. According to the degree of antioxidant activity of green tea more than a hundred times in the black! It opens in the middle of the last century, an amino acid L-theanine was obtained from tea leaves. It contributes to the peace and tranquility, experienced by true lovers of good tea. By acting on the body, According to his joyful disposition, clarity of consciousness, due to the release of the hormone joy and activation in the brain so-called alpha-waves. Besides, actively destroys toxins, neutralizes the harmful effects of alcohol, poisoning, chemotherapy, boosts immunity. Caffeine, contained in green tea, It differs from the caffeine of coffee, acting more gently and long-term, as associated with theanine. Tea caffeine to boost alertness, It supports tone, It stimulates the heart activity, increases efficiency. It is important to only comply with the measure in the amount of tea and strength welding. Improves moisture balance and skin condition. A few words can be said about useful qualities of green tea as an excellent cosmetic product. Freshly brewed tea can be used for washing in the morning and evening, you can wipe the skin with frozen cubes of tea. This will make it supple, tighten, give her a beautiful and healthy look. 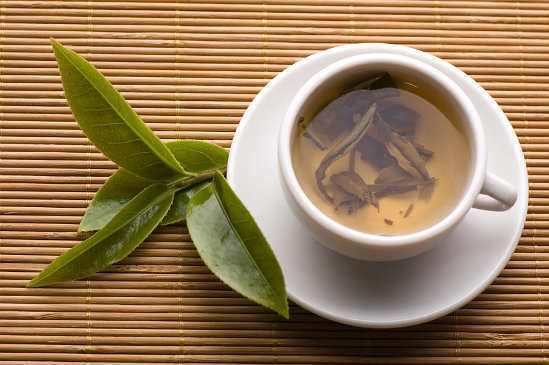 Another note again, that we are talking only about the high-quality green tea, which is just 2-3 cup, but drunk on a daily basis and constantly, It does wonders to the body, give courage, good mood, preserve youth. So that, replace artificial drinks green tea, daily drinking several cups of green tea quality, You can quietly improve your own health.